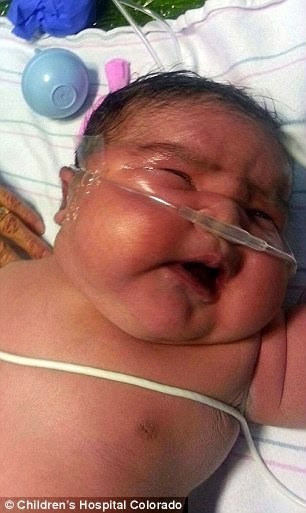 A pregnant mother who thought she was expecting a small seven pound baby ended up giving birth to a daughter who tipped the scales at almost 14 pounds. 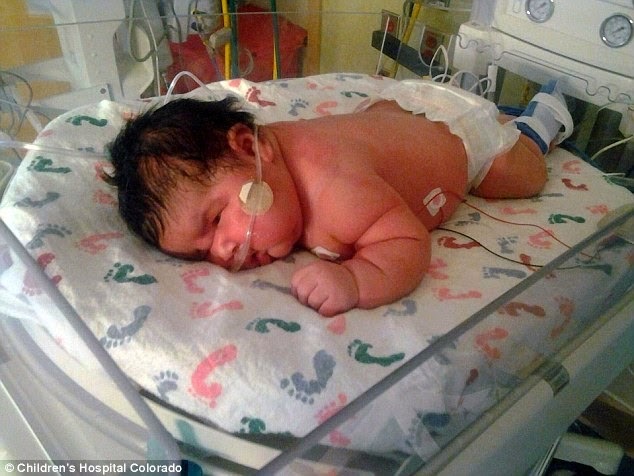 Alisha Hernandez of Alamosa in southern Colarado went into labor on Monday and gave birth to Mia Yasmin Garcia by caesarean section at the San Luis Valley Hospital. 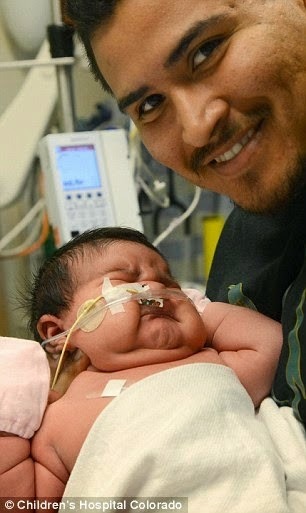 But Miss Hernandez and midwives who helped deliver the baby were shocked when baby Mia arrived looking a lot larger than they first thought she would be. They're all shocked that they're seeing a baby like that. Even in the San Luis Valley, they were like whoa! They opened their eyes like they've never seen a baby like that. 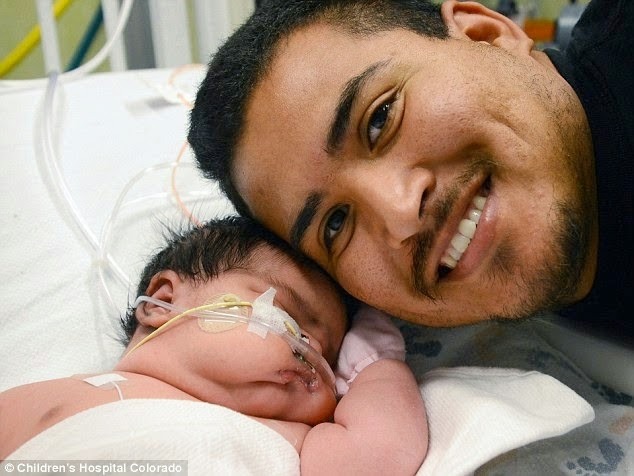 Mr Garcia explained that all of the couple's other children were all born at normal weights and even the combined weight of their twins at birth was lower than Mia. He also added that the newborn would be the couple's last child together, even though they had 'tried their best' to have a boy. 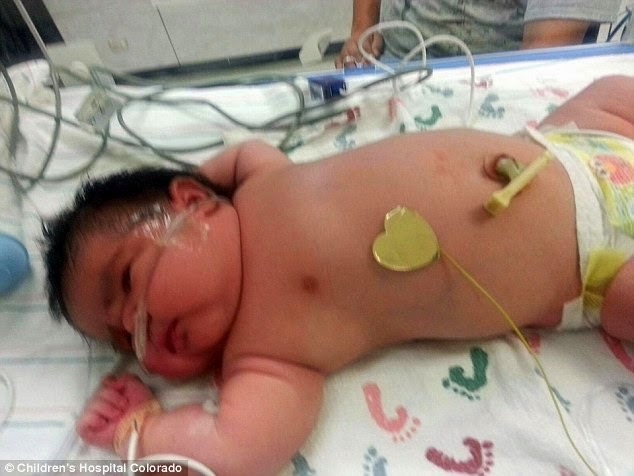 Shortly after her birth, baby Mia was flown to a Denver-area hospital after suffering from low glucose levels and having trouble breathing. But doctors hope she can join her parents and four older sisters Britney, Ximena, Yulissa and Yuliana at home within the next week. More pictures below. 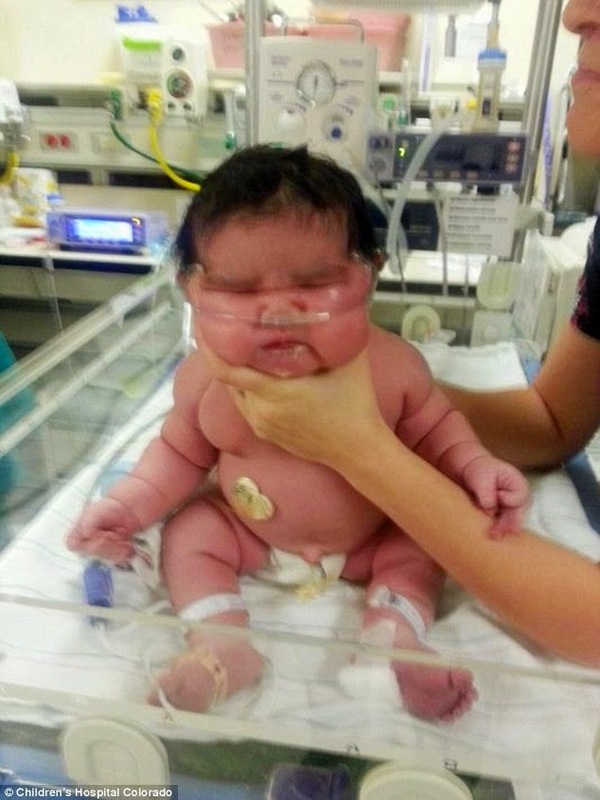 Have you ever seen such a huge baby? I think she's bigger than some 6-month old babies. Wow!